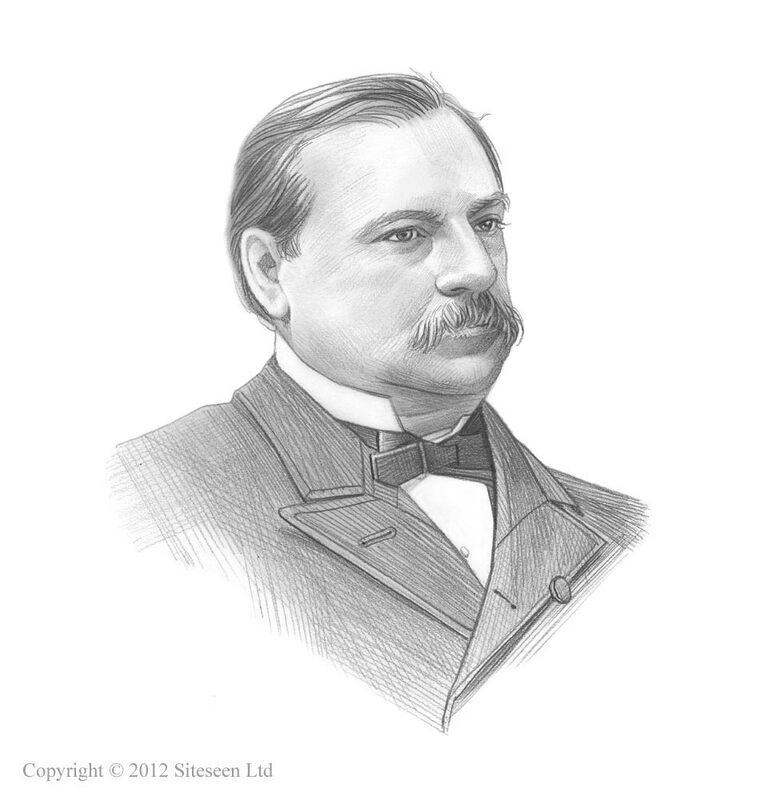 Ferris Wheel Invention: Grover Cleveland was the 22nd and 24th American President who served in office from March 4, 1885 to March 4, 1889 and from March 4, 1893 - March 4,1897. One of the unusual events during his presidency was the invention of the Ferris Wheel. Summary and definition: The Ferris Wheel Invention was an engineering marvel designed by American engineer, George Ferris for the 1893 Chicago World's Fair. The great fair was originally known as the World's Columbian Exposition that was organized to commemorate the 400th anniversary of Christopher Columbus landing in the New World. The American engineer George Ferris created a giant, revolving observation wheel to provide visitors with a magnificent view of the fair from the Ferris Wheel Invention. The Ferris Wheel Invention was a immense event combining entertainment and educational exhibits with the latest innovations and inventions. In just 6 months the Ferris Wheel Invention attracted over 27 million visitors from all over the world - and most of them couldn't resist a ride on the revolving observation they soon began to call the "Ferris Wheel". Daniel H. Burnham, the Architect and Construction Chief of the Ferris Wheel Invention, gave a speech to a group of architects and engineers who were interested in the World's Columbian Exposition, hoping to inspire enthusiasm for this monumental project. George Ferris was in the audience, and like most of his associates admired the commanding Eiffel Tower, built by the engineer Gustave Eiffel, for the Paris Exposition of 1878. A similar exhibit would certainly create an impact, but nobody wanted to copy the French. George Ferris went on to develop the idea of creating a giant revolving observation wheel to rival the Eiffel Tower. Ferris Wheel Invention for kids: Who was the Inventor? The inventor of the 'Big Wheel' therefore was George Washington Gale Ferris, Jr. (1859-1896). He was a talented civil engineer and an astute businessman who specialized in large-scale engineering projects involving the construction of railroads and bridges. Based in Pittsburgh he owned two successful companies. History and interesting info about the inventions displayed at the Chicago World's Fair and the Ferris Wheel Invention. Fast Facts for kids are detailed below. How tall was the first Ferris Wheel? It was 264 feet tall (80.4 meters), equivalent to a 26 storey building. How big was the first Ferris Wheel? The entire steel structure weighed 4,100 tons. It was 825 feet in circumference and rotated on a 45-foot axle that was 82 inches in diameter and weighed 56 tons. The axle alone was the largest piece of steel ever forged. The machinery was powered by two of 1,000-horsepower steam engines. It carried 36 cars, referred to as gondolas, which were 13 feet wide, 27 feet long and 9 feet high. It could carry 60 passengers in each of the 36 gondolas, each fitted with 40 revolving chairs, with a total capacity of 2160 passengers per rotation. Each gondola was staffed by a conductor wearing a uniform of a blue jacket and white pants. The role of the conductor was to look after the comfort and safety of the passengers, calming fears of those scared of heights and pointing out the attractions of the Chicago World's Fair. The view was spectacular providing the visitors with a panoramic view of the attractions and pavilions of the fair. On a clear day it was possible to see the surrounding states of Illinois, Wisconsin, Indiana and Michigan. from the top of the circuit. George Washington Gale Ferris died of tuberculosis in Pittsburgh shortly after the Chicago World's Fair on November 22, 1896. He was just 37 years old.